Looking for more pictures of our properties? Beaver Creek named the #1 ski resort in North America by Condé Nast Traveler's 16th annual ski poll!! You want and expect the best. That's why you've chosen Market Square, located in the heart of Beaver Creek village. Experience the finest lodging surrounded by spectacular views. 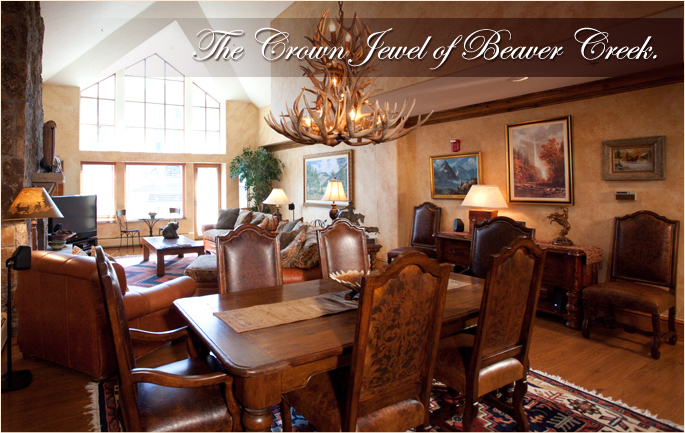 Market Square condos are in the center of Beaver Creek's charming European village which features a year-round ice skating rink, exquisite shops, fine dining, casual restaurants, art galleries, and kid-friendly activities. These luxurious condominiums are located just a few floors above the Vilar Center for the Performing Arts with programming from all over the world stage (for the schedule, please click here).